Talk Ultra is available every two weeks and is released on a Friday. The show is FREE and always will be. Support on PATREON HERE with a regular monthly contribution. You can appear on the show with certain pledge levels. We have a Facebook Page and Twitter please make sure you ‘Like Us’ on Facebook and ‘Follow’ us on Twitter. It is really important that we get your feedback and that you interact with other fans of the show. Episode 99 of Talk Ultra and we speak with Matt Lefort and Andy Symonds about ELS2900. Sophie Grant discusses Diagonale Des Fous (Raid de la Reunion) and Paul Giblin discusses a plant based diet and winning Javelina Jundred. Episode 98 of Talk Ultra has Mike Wolfe talking all about his epic Crown of the Continent Traverse with Mike Foote. Shiri Leventhal, 2015 winner of Atacama tells us all about it and Sarah Cameron discusses how cycling made her a better runner. Episode 97 of Talk Ultra has an interview with Andy Symonds about his return to running after prolonged injury. Remi Bonnet talks Skyrunning after an incredible first year in the sport and Marie-Paule Pierson tells us all about Atacama; she did it! Episode 96 of Talk Ultra has an interview with Hillary Allen, rising star of the Skyrunning ranks and Marie-Paule Pierson discusses her training and planning for Atacama. Episode 94 of Talk Ultra is all about Glen Coe Skyline and UTMB. We have interviews from the Glen Coe Skyline Race w/ Emelie Forsberg, Florian Reichert and RD, Shane Ohly. We also have an in-depth interview with race winner Joe Symonds. UTMB was full of drama and we speak with 32nd overall and 49th overall, Damian Hall and Richard Ashton. The News, ultra chat and Niandi Carmont co-hosts. Episode 93 of Talk Ultra has an interview with lady on fire, Megan Kimmel. We also speak to Harald Zundel about running long and super hard races. We also speak with Greg Donovan about running the 4 Deserts Grand Slam and the Big Red Run in Australia. Speedgoat is with us and we have some new music and logo! Episode 92 of Talk Ultra we speak with Tromso SkyRace winner, Jonathan Albon and we have an inspiring chat with ladies Hardrock 100 winner, Anna Frost. The news and Speedgoat is back after a really busy month racing and working. Episode 91 of Talk Ultra has a WSER chat with ladies champ, Magdalena Boulet. We speak with Alex Nichols about victory at the Mont-Blanc 80km, Gary Robbins talks FKT and Emelie Forsberg gives us a Smiles and Miles. Speedgoat is prepping for the Speedgoat 50k so Niandi Carmont co-hosts. Episode 90 of Talk Ultra is playing catch up. Yes folks we missed a show… Speedgoat discusses Scott Jurek on the AT. We talk Western States and have an interview with Rob Krar. 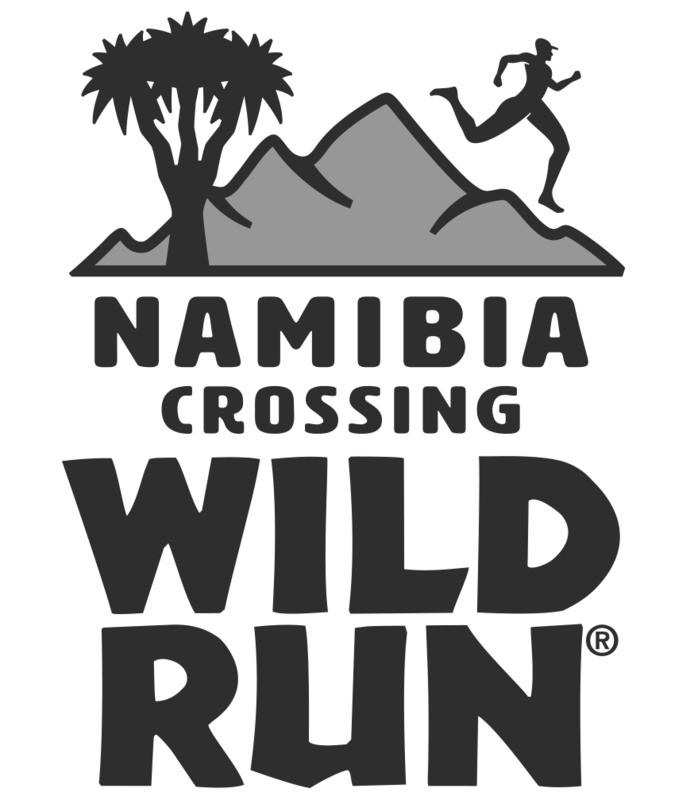 We have some Richtersveld Wildrun chat from South Africa with Nikki Kimball and Georgina Ayre. We also speak to Stevie Kremer on Ultra Skymarathon Madeira. Talk Training, the News and Niandi co-hosts. Episode 89 of Talk Ultra is all about running around the world. We speak with Tony Mangan who ran around the world in 4 years covering 50,000km’s and we also speak with Kevin Carr who set the fastest time for running around the world 26,232km in 621 days. We have the News, a Blog,Talk Training, Up & Coming races and Speedboat Karl. Episode 88 of Talk Ultra and on this weeks show we speak with Scott Hawker about 2nd place at TNF100, we interview Joe Fejes about running 606.24 miles in 6 days and we speak with Dan Lawson about his record breaking 135 mile run at GUCR. The News, a Blog and Speedboat Karl. Episode 87 of Talk Ultra We speak with Emelie Forsberg on her victory at Transvulcania and Australian Blake Hose about his breakthrough top 3 performance. Michael Wardian breaks his own 50k treadmill record and we speak with him. The News, a Blog, Up and Coming Races and Niandi Carmont co hosts. Episode 86 of Talk Ultra is a packed show. We speak with Jeff Browning about victory at the controversial Ultrafijord. Michelle Yates provides a great Talk Training by discussing running and pregnancy. We also catch up with Elisabet Barnes and James Cracknell who ran impressive times at London Marathon. The News, a Blog, Up and Coming Races and Speed Golf Karl Meltzer is back! Episode 84 of Talk Ultra has Sage Canaday discussing coaching and training, Lizzy Hawker talks about her new book, RUNNER. Nikki Kimball discusses fell running, SHAFF and her new film, Finding Traction. Talk Training, the News, a Blog, Up and Coming Races and Speedboat Karl. Episode 83 of Talk Ultra has a great interview with rising ultra star, Gediminas Grinius.Dr Andrew Murray and Donne Campbell talk about their recent epic journey and Jez Bragg talks about getting speed back after his epic Te Araroa journey and how he plans to tame the Dragon. Marc Laithwaite is back in Talk Training, we have the News, a Blog, Up & Coming races and Niandi Carmont joins me as co-host and we discuss the MDS. Episode 82 of Talk Ultra has James Cracknell talking about the mind of an Olympian, how to succeed at endurance sports and we announce two new projects for 2015. Karl Egloff just set an FKT for Aconcagua, we have a full and in-depth interview. Ruby Muir had a troubled 2014 but turned it around topping the podium at Tararwera. The News, a Blog, Up & Coming Races and in Talk Training we discuss final prep for MDS. Episode 81 of Talk Ultra has Mike Murphy talking about pushing to the limits (and beyond) at The Coastal Challenge, Elena Polyakova talks about ultra running in Turkey and the up and coming Cappadocia Ultra Trail and Ray Zahab fills us in on his last expedition. Marc Laithwaite return for Talk Training and we discuss Maffetone. A Blog, Up and Coming Races, the News and Speedgoat Karl co-hosts. Episode 80 of Talk Ultra has an interview with UK’s Mr MDS, Rory Coleman. We speak with Mike Arnstein about his recent victory at Hurt 100 and his fruitarian diet. Jason Koop talks coaching runners of all abilities and adventurer, Mark Hines talks nutrition in relation to extreme events. The News, a Blog, Up & Coming Races and Niandi Carmont co-hosts. Episode 79 is another packed show! We speak with HK100 2nd placed runner, Sondre Amdahl. We also speak to the female winner of the UK’s, The Spine, Beth Pascall. Nikki Kimball discusses her incredible 2014 season with victory at MDS, top-5 at WSER and winning Run Rabbit Run. The News, a Blog, Up & Coming Races and Speedgoat Karl. Episode 78 of Talk Ultra celebrates its third anniversary with interviews with two legends, Sir Ranulph Fiennes and Marshall Ulrich. We also speak to adventure racer turned ultra runner, Travis Macy and in Talk Training we chat with America’s Angriest Trainer, Vinnie Tortorich. The News, Up & Coming Races and of course, Speedboat Karl Meltzer. Episode 77 It’s our Christmas Special. Ian and Karl discuss 2014 and some of our highlights. We have in depth interviews with Ellie Greenwood, Max King, Joe Grant and Grant Maughan. Importantly, we wish you all a Merry Christmas and Happy New Year. 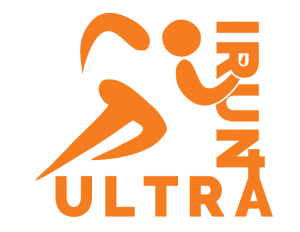 We thank you for your continued support and look forward to joining you on your ultra journey’s in 2015. Episode 76 has a catch up interview with Lisa Smith-Batchen on her Badwater Quad. We speak with Iain Don Wauchope about his record breaking Salomon SkyRun and we have two inspiring chats with Tina Lewis and Timmy Olson. The news, Up and Coming Races and Speedboat Karl. Episode 69 s going to be a little different… we are recording live from a RV in the middle of Minneapolis. My co host is Kurt Decker from Twin Cities Running Co. This weeks interviews are quite special, we speak with Italian mountain running legend, Marco De Gaspreri and man of the moment, Kilian Jornet. The news a blog and the up and coming races. Episode 63 We have a great interview with Queen of the Fells, Nicky Spinks. An in-depth interview with Morgan Williams all about the Bob Graham Round and we speak to Greg Fell from The African Attachment about what it’s like producing iconic ‘trail’ films such as Travailen, Wandering Fever and the Salomon series of films. We also catch up with Jo Meek on that incredible 5th place at Comrades and in Talk Training, we speak with the UK’s experts on kidneys and the effects of NSAID’s. The News, a Blog, Up & Coming races and Speedgoat is back from the wilderness…. Episode 59 of Talk Ultra – This weeks show is a Marathon des Sables and BarkleyMarathons special. We have daily chats from the Sahara with top Brit and 5th overall, Danny Kendall. By contrast, we also have daily chats with actor, Bertie Portal who undertook the challenge of a lifetime at his first MDS. Barkley Marathons are infamous and we speak with rookie ‘fun run’ finisher Jamil Coury and we also speak with two time finisher and 2014 champ, Jared Campbell. The News, a Meltzer Moment, Up & Coming Races and of course Speedgoat Karl. Episode 57 of Talk Ultra – David Johnston gives us a blow-by-blow account of his record breaking run at the ITI350 (Iditarod Trail Invitational), Ellie Greenwood talks about her comeback run and win at Chuckanut 50 and her plans for 2014. We speak with Jennifer Steiman, Director of the Desert Runners Movie and Samantha Gash who appeared in the film. Team inov-8 provide some chat from the 2014 athlete retreat and Emelie Forsberg brings us smilesandmiles, a Blog, the News, Up and Coming Races and of course Speedgoat! It’s a stacked show. Episode 54 of Talk Ultra – Gary Robbins once again returned to the tough and gnarly Hurt 100 and came away with another victory, in this weeks show he tells us all about it and his plans for 2014. HK100 took place just a couple of weeks ago and young Australian sensation, Vlad Ixel placed 3rd overall in a top quality field, we interviewed him about his running and what the future hold. Talk Training as ‘Hint’s n Tips for running from Speedgoat himself, the News, a Blog, Up and Coming races.. another great show in store! Episode 51 of Talk Ultra is our longest show yet… yes, 4hours and 30mins of ultra chat to help you survive the Christmas period and New Year. We speak with the new 100-mile and 12-hour record holder (on a track) Zach Bitter. We have a full and in-depth interview with female ultra runner of the year (?) Michele Yates. Anna Frost provides an insightful interview on a troubled 2013 and finally we catch up with Ed Catmur who has been setting the pace on the UK ultra scene. It’s a full show! Speedgoat and Ian review the year, we have possibly the best Talk Training of 2013 with Marc Laithwaite and we catch up with Amanda in a Year in the Life of! A big thank you for all the amazing support and downloads in 2013 and we thank you in advance for your support in 2014. Episode 49 – What a great show… we speak with ‘Team Redden‘ about running and the incredible story of how mum, Sabrina and Teagan (aged 8yrs) tackled 100km’s. We have an in depth chat with David and Katharine who ran 5000 miles across South America in the 5000 mile project. Tim Stevenson joins us for a special Talk Training on Strength and conditioning. Emelie Forsberg is back for Smiles and Miles. The news, a blog, up and coming races and Speedgoat discusses pacers! Episode 48 – has the sounds and insight from Nepal. This weeks show is a departure from our normal show, however, we do have some great content with Everest Trail Race ladies winner and 2nd overall, Fernanda Maciel. We catch up with Brit, Anna Lupton and discuss Fell and Skyrunning, Steven Sleuyter talks multi day racing and the Grand to Grand Ultra, we have a main interview with Dakota Jones and in Talk Training we have a special guest, Trevor Prior who discusses feet. The news, a blog and up and coming races. Episode 46 – We have an interview with Speedgoat 50k winner and 2nd place at UROC, Stephanie Howe. Brit fell running sensation, Ricky Lightfoot talks about his progression to ultra. Anthony Bethell provides an insight into his first year participating in the Skyrunning season from an everyday runners perspective. Marc Talks Training. Emelie Smiles and Miles. The news, a blog, up and coming races and Speedgoat is back! Episode 45 – Mountain running legend, Jono Wyatt tells us all about his incredible 25 years as a competitive athlete. We speak to man of the moment, Rob Krar after his impressive win at UROC. Emelie Forberg is back with Smiles and Miles. Marc Laithwaite talks altitude in Talk Training. The News, a Blog, Up and Coming Races and Stevie Kremer co-hosts the show. Episode 44 – This weeks show we have a long distance theme. We have an interview with Nickademus Hollon who just recently placed 7th overall at Tor des Geants. We also have an in-depth chat with Ian Sharman about his incredible summer running the Grand Slam. We also speak to Nick Clark in his regular Grand Slam slot, Clarky’s Corner. We speak to Brit, Emma Clayton about her silver medal in the WMRA worlds in Poland. The news, Talk Training, a blog, up and coming races and of course, Speedgoat Karl. 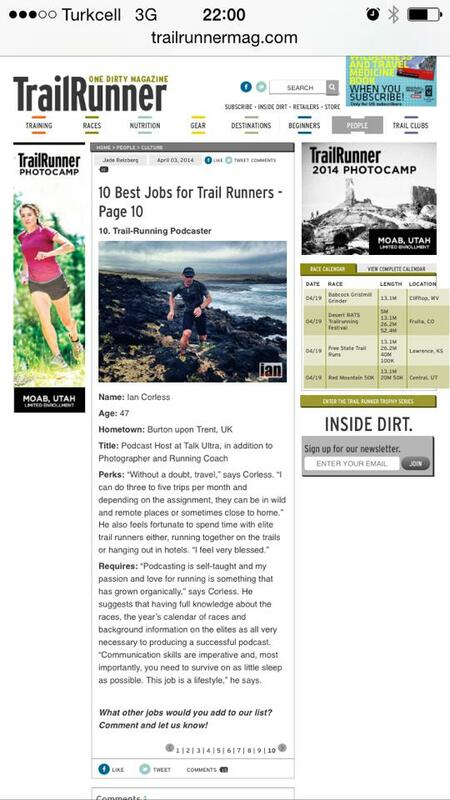 Episode 42 – Scott Jurek gives us a pre Leadville 100 chat. 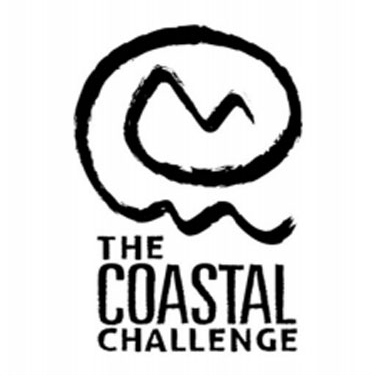 Fernanda Maciel discusses the CCC and the Everest Trail Race. We have inspiring interview with Ray Zahab, he discusses, expeditions, motivating youth and his incredible i2P project. Emelie Forsberg gives us a #smilesandmiles, Clarky talks number three in the Grand Slam and what four may bring. The news, a blog, up and coming races, a Meltzer Moment and hold the presses… Kilian smashes it! Episode 41 of Talk Ultra – We speak to Stevie Kremer 12 months on after she burst on the Skyrunning scene with a 2nd at Sierre-Zinal. We have 15 mins of fame with double leg amputee, Richard Whitehead. An interview with Lakeland 100 winner, Stuart Mills. A catch up with Nick Clark on the Grand Slam of ultra. Smiles and Miles with Emelie Forsberg. The news, a blog, up and coming races. Marc is back for Talk Training and of course, Speedgoat co hosts! Episode 40 of Talk Ultra We catch up with Marco De Gasperi on the finish line of the Dolomites Skyrace. 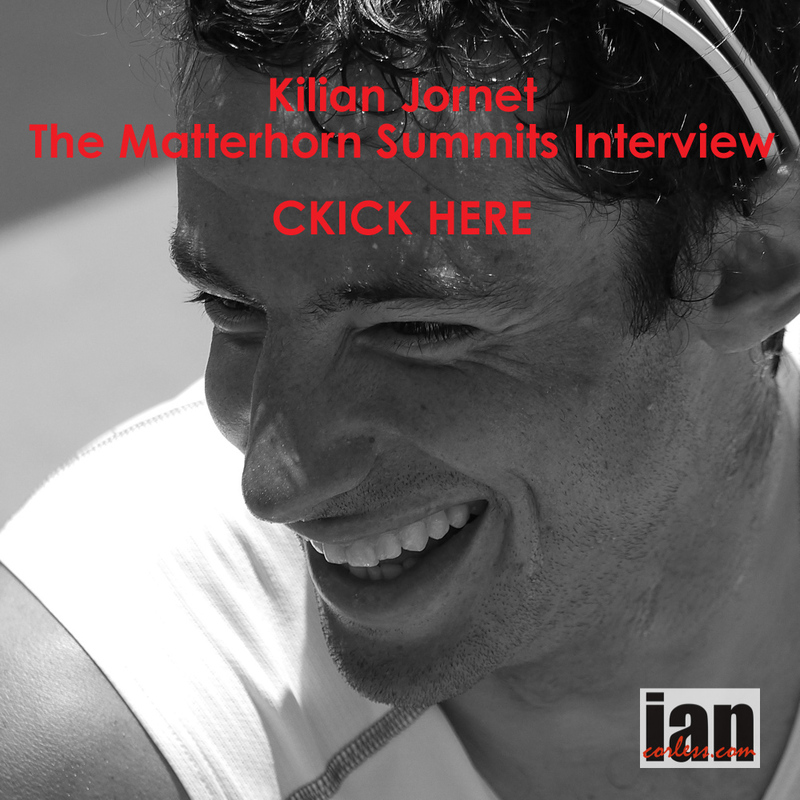 We chat with Kilian Jornet about his recent racing and the next part of his Summits project. We introduce a new regualr section for the show, Smiles and Miles with Emelie Forsberg. Our main interview is with Brit, Stuart Air who placed 13th at Ronda dels Cims. We have the news, a blog and the up and coming races for the next two weeks. Finally, for one show only we have a guest co host, Philipp Reiter. Episode 39 of Talk Ultra. Nick Clark returns for Clarky’s Corner. We have an interview with Ultra Running legend, Nikki Kimball about her running career and another podium finish at Western States. Alex Nichols talks Mont Blanc Marathon and in Talk Training we speak with Florian Reichert about the transition from road running to trail and mountains. Episode 38 of Talk Ultra is all about Ronda dels Cims. We discuss the race and have interviews ‘live’ from Andorra with 3rd place Matt Cooper, 7th place Jared Campbell, 8th place Ty Draney and the ladies winner Francesca Canepa. Speedgoat talks Western States, we have a special Talk Training with Jez Bragg and we have the up and coming races for the next two weeks. Episode 37 – Rob Krar talks to us about his running history, hiw incredible Rim-to-Rim-to-Rim run and what his expectations are for Western States. Holly Rush talks marathon running and Comrades. Ellie Greenwood makes a guest appearance for Talk Training and provides an insight into running injuries. Nick Clark joins us for a regular slot as he attempts the ‘Grand Slam’ of ultra running. We have the news, a year in the life of, and we find out: You know you are an ultra runner when… ? Episode 36 – Stevie Kremer and AJ Calitz talk to us from Zegama-Aizkorri. We speak to Brendan Davies and Beth Cardelli respective winners from TNF100 in Australia. An inspirational 15 minutes of fame with Eric Browy, Talk Training is about Knees with Mitch from StrideUK. Our interview is with Ultrapedestrian Ras. Speedgoat is back, we have a blog, the news and of course, the up and coming races. Episode 35 – It’s all about Transvulcania! We have a special co host, Anna Frost or ‘Frosty’ as she is affectionately known. We have post race interviews with the mens’s winner, Kilian Jornet. The ladies winner, Emelie Forsberg. We atch up with 3rd place, Sage Canaday, 4th place, Timothy Olson, 7th place, Cameron Clayton and top 50 runner, Dave James. In additional to all the Transvulcania excitement we have a blog, 15 minutes of fame with Robbie Briton, up and coming races and of course the news. Episode 34 On this weeks show we speak to 22 year old Nick Hollon who just recently finished the infamous Barkley Marathon. We catch up with Natalie White who tells us all about the future plans for UK based Inov-8 who are 10 years old in June. We have chat with Ozzies Brendan Davies and Shona Stepehenson who placed 5th and 2nd respectively at UTMF in Japan. In Talk Training we speak to Mitch from Stride UK. We also speak to Chris Mills in 15 mins of fame. We have a blog, the news, up and coming races and of course, Speedgoat. Episode 33 – This weeks show honours the injured and fallen at Boston Marathon. We have daily chat from the Marathon des Sables bivouac and interviews with top placed Brits, Danny Kendall and Jo Meek. We interview Arc’teryx athlete, Adam Campbell. We discuss Mojo in Talk Training, we have ‘A year in the life of…’ a Blog, Speedgoat, the News and ‘Up & Coming Races’. Episode 32: Speedgoat makes it no35 out of 60 at Antelope 100… We speak to Richard Bowles who is about to embark on another journey! We have an extended Talk Training with Dr Phil Maffetone. We catch up with Mike Wardian on how his recovery and racing is shaping up. We have a ‘Year in the life of’, the last episode of our MDS’ build up, 15 mins of Fame with Tony Di Giovani, the News, Up and Coming Races and a Meltzer Moment. Episode 31 of Talk Ultra Joe Grant tells us all about his experiences covering 350 miles at the Iditarod Trail Invitational in Alaska. New run sensation, 21 yr old Ruby Muir from New Zealand tells us what it’s like dominating Tarawera Ultra and placing 7th overall. We speak with Daniel Rowlands & Rebecca Pattinson, respective winners of the Atacama Crossing in Chile. Ian Sharman discusses the News, Marc Laithwaite talks hills in Talk Training, Speedgoat has a Meltzer Moment and of course we have A year in the life of, MDS special and the Up & Coming Races. Episode 30 – We bring you interviews with Philipp Reiter and Julia Bottger from Gran Canaria. We have a main interview with Brit, Tom Owens. Talk Training is about nutrition and was recorded live with an audience in Lanzarote. We have all the usual features, the news, up and coming races, ‘A Year in the life of…’ our MDS special, Speedgoat Karl and of course the up and coming races. Episode 29 – has Come back man Gary Robbins telling us what it’s like to return from 2 years of injury to not only win Hurt 100 but to set a new CR. Jez Bragg tells us about completing ‘The Long Pathway, Te Araroa’ in New Zealand. Joe Grant says goodbye and heads off to the Iditarod. Colourful Catra Corbett tells us about drugs, alcohol, running, tattoos, clothes and Truman. In addition to all that, we also have… phew; Talk Training about the long run, ‘A year in the life off…, part 3 of our Marathon des Sables special, A Meltzer Moment, Up & Coming races and of course the News. Episode 28 – has an interview with Geoff Roes who in the 2010 edition of Western States 100 set a new CR and became a star in the film, Unbreakable. We also have an interview with rising female star Emelie Forsberg. We discuss her incredible 2012 and what lies in store for 2013. In Talk Training we have the ‘Rockdoc’ telling us all about Kinesiology taping. We have A Year in the life of…, part 2 of our MDS special, the news, a blog, a Meltzer Moment and the up and coming races. Episode 27 – Fast man of the moment, Sage Canaday tells us about how he got into running and all about his transition to ultra. Joe Grant gives us an update on how his preparation is going for his attempt at the 350 mile Iditarod Trail Invitational in Alaska. We also speak to Dave James who had a win at Coldwater Rumble recently and heads out to The Coastal Challenge in Costa Rica on Feb 1st. 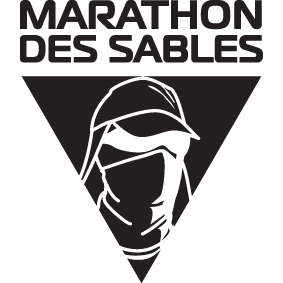 We have talk training, a year in the life of, the news, a blog, a Meltzer Moment, up and coming races and we have the start of a new special on the build up to the 2013 Marathon des Sables. Episode 26 – A super stacked show and maybe our longest yet… our main interview is with The North Face athlete, Mike Wardian. We speak with inspirational film makers and ultra runners, JB & Jennifer Benna from JourneyFilm. Live from the Te Araora trail in New Zealand we speak with The North Face athlete, Jez Bragg on his incredible journey. We have our first ‘A year in the life of…’ chat, Talk Training with Marc Laithwaite, A Meltezer Moment with Speedgoat Karl, the News with Ian Sharman, a blog post, 15mins of fame and of course the up and coming races. Episode 25 – MERRY CHRISTMAS. A super stacked festive show with some incredible stars of 2012. Our show includes interviews with Ellie Greenwood, Timothy Olson, Western States RD Craig Thornley, Ryan Sandes and Lizzy Hawker. We announce the winners of ‘A Year inthe life of…’. Talk Training is about heart rate training and Karl, Ian Sharman and myself review the year. Merry Christmas to you all and thank you for making 2012 a great year! Episode 24 – We have an extended interview with ultra running legend, William Sichel. William, who is now 59 years old has been setting records and winning ultra long races for years. In our show he discusses how he got started, his life, his training and highlights some of his key moments. In Talk Training we discuss overtraining and highlight some of the warning signs. Speedgoat Karl joins us and we have a Meltzer Moment. We have a blog, discuss the news and mention the up and coming races and Christmas is less than two week away! Episode 23 – We speak to man of the moment Max King after his incredible wins at UROC and JFK50. Oz fast man, Brendan Davies talks about the ultra scene down under and his win at GNW100. Pocket Rocket Stevie Kremer tells us what it’s like to move from the US to Italy and race at the highest level. Talk Training is about run shoes. We have the news, a blog, up and coming races and of course Speedgoat Karl Meltzer. Episode 22 – A main interview with TNF athlete Mike Wolfe on his transition from lawyer to full time ultra runner. Jez Bragg inspires us and provided a ‘coup’ at a TNF press conference in London. Salomon runner and ‘Saffa’ Linda Doke tells us all about the super tough and iconic 100 miler Diagonale des Fous (Raid de la Reunion). Talk Training has pt2 on run technique, we have the news, a blog by Frosty, up and coming races and of course Speedgoat joins us for a Meltzer Moment and he co-hosts the show. It’s a packed one! Episode 21 – Our interview this week is with Salomon athlete, Andy Symonds. We have chat with Marathon des Sables RD Patrick Bauer and we catch up with ISF Executive Director, Lauri Van Houten at the end of the Skyrunning season. Talk Training has Pt1 of a 2 part discussion on run technique and Speedgoat gives us his Good, Bad & Ugly. We have a blog, the news and up and coming races…. oh, and don’t mention my knees! Episode 20 – No 34 come in… ! we speak to Speedgoat all about Grindstone 100. We have chat from the Royal Parks ultra with Dimitrios and Silvia from Salomon Running. Niandi Carmont catches up with inspirational ultra runner, Mavis Hutchison who paved the way for female running. Mike Le Roux tells us all about the Grand Slam of ultra. Ian Sharman discusses the news and Marc Laithwaite discusses ‘winter’ training in Talk Training. We have a blog for you and of course the up and coming races. A stacked show! Plus the Good, Bad and Ugly with Speedgoat Karl. Episode 19 – We honour Teresa Farriol, catch up with Ian Sharman. Chat to Terry Conway pre Cavalls discuss Paleo with Barry Murray and interview Joe Grant, Anna Frost and Tony Krupicka after the Skyrunning Cavalls del Vent. We have blogs, races and an unusual Meltzer Moment. Episode 18 – Talk about name dropping… episode 18 has a stellar cast! Once again I have Speedgoat Karl with me for most of the show, we discuss his incredible run at Run Rabbit Run and we also catch up and talk about all his years in the sport. We speak to Mike Morton and get some feedback on his incredible Badwater win and we also talk about his record breaking 24 hour run. Prof Tim Noakes is a legend within all sports, his book ‘The Lore of Running’ has been very much a bible for the keen runner, in Talk Training we discuss Tim’s new book ‘Waterlogged’. If that wasn’t enough we finally catch up with the man who has got so many people into ultra, including me, Dean Karnazes. We also have the news, blogs and up and coming races. Phew… what a show! Episode 17 – An epic show… I have the pleasure of Speedgoat Karl being a co host for the whole show. We talk about Trofeo Kima and audio with Kilian Jornet before the race took place and then we catch up with Andy Symonds, Emelie Forsberg, Nuria Picas and Philip Reiter after the race. We discuss all things UTMB. We have interviews with members of the Vibram Trail Running Team which include 2nd placed lady, Francesca Canepa and team member Ronan Moalic, Beppe Marazzi and David Gatti. We also have interview with UTMB winners, Francois d’Haene and LIzzy Hawker just before they go onto the podium and we also grab 5 mins with 3rd place in the mens race, Mike Foote. We have Talk Training, A Meltzer Moment, the news, up and coming races and finally; phew, a preview of Wasatch 100. Episode 16 – On the show this week we speak to South African Linda Doke in Zinal, we catch up with Terry Conway and break some great news upon the ultra world. Ian Sharman joins the show for the news and Talk Training is back. Our interview is with Australian, Samantha Gash and Speedgoat Karl chews the ultra fat in a Meltzer Moment. We mention three blogs, discuss the up and coming races and get ready for UTMB. Episode 15 – We welcome Wolfepaw and master of the Douche Grade, Mike Wolfe as a co host. We have a selection of interviews form the Lakeland 50 and 100 mile races in the Uk. We interview Fast Foodie, Devon Crosby-Helms. Speedgoat Karl fill us in on the Speedgoat 50k in a Meltzer Moment and of course we have the news, the blogs and the up and coming races. Episode 14 – The news is stacked with some incredible performances. We interview the winner of Hardrock 100 and legend of the sport, Hal Koerner. Speedgoat Karl tells us about about fighting the sleep monster and previews Speedgoat 50k. On 15 mins of fame we talk to a mix of runners who are taking part in the Lakeland 50/100 and we preview up and coming races. Episode 13 – Ian has been in the Pyrenees with Arc’teryx and had the opportunity to catch up with Arc’teryx/ Salomon athlete Adam Campbell, we discuss the latest ultra news with Ian Sharman, Karl Meltzer discusses Hardrock 100 in a Meltzer Moment and our interview is with the lady who personifies pink and ultra running, Marvellous Mimi Anderson. We wind up the show with up and coming races and Ian is getting ready for the Lakeland 50 at the end of the month. Episode 12 – It is an epic show and our longest show ever… perfect for those long runs! We speak to Ellie Greenwood, Nick Clark, Ian Sharman, Karl Meltzer and our main interview is with the inspirational winner and course record holder of Western States, Timothy Olson. We also have Talk Training with Marc Laithwaite, discuss the news and inform you of up and coming races. Episode 11 – Ian has been running with a light saber, Ian Sharman discusses the news and gives us an insight into Western States. Our main interview is with Jez Bragg just before he heads out to America as he attempts to improve on his highest placing of 3rd at Western States. Karl gives us a Meltzer Moment, we discuss race day nutrition in Talk Training and on 15 minutes of fame we talk to Dean and Greg from The African Attachment. We recommend three blogs and we shout out about some up and coming races. Episode 9 – Transvulcania La Palma Special – Interviews with Dakota Jones,Anna Frost, Joe Grant, Nikki Kimball, Mike Wolfe and Tony Krupicka. My guest co host for the show is Marcus Warner from Ultra168. We discuss the race, what it’s like to hang out with the best in the world and also what it’s like to run with them. We preview this weekends race, Zegama and we also have some surprise audio….. with Kilian Jornet. 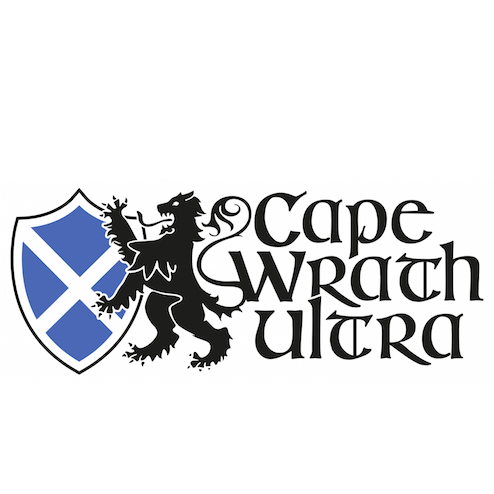 Episode 8 – Comrades Special – A show decicated to the Comrades Ultra Marathon in South Africa. We have interviews with Bruce Fordyce, Ellie Greenwood, Steve Williams, Caspar Greeff, Nicolaas Claassen and Zola Budd. 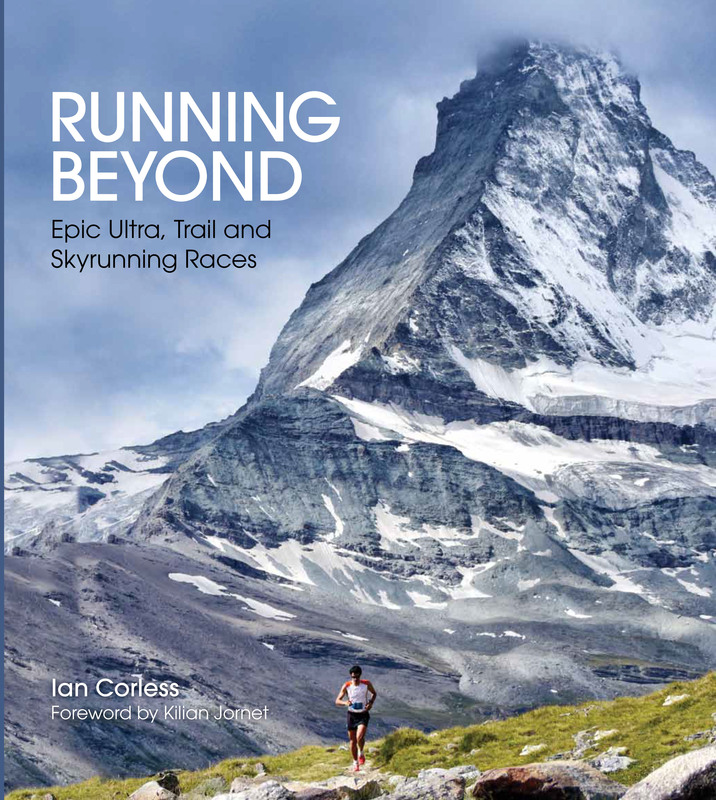 In addition we bring you news and results from around the world, our current favourite blogs, Talk Training with the Ten Commandments of Ultra Running a Meltzer Moment with Speedgoat Karl and of course up and coming races. Episode 7 – Ian C raced the Iznik Ultra in Turkey, Ian S has been snow boarding. We have news from around the world and we have some audio from race director, Caner at the Iznik Ultra, we also speak to Ilgaz who hosts a podcast in Turkey. We introduce you to some blogs, we speak to the 100 mile man of the moment, Mike Morton. We introduce a new segment to our show called Talk Training. A Meltzer Moment with Speedgoat Karl, Ultralegends with Phil Essam discusses Yiannis Kouros and we have 15 minutes of fame with Martin Parnell before rounding of the show with up and coming races in the next two weeks. Episode 6 – We tip our hats to the passing of Caballo Blanco, we bring news and results from around the world. We get an update from James Adams on his attempt at Barkley, we speak to Richard Bowles just before he departed on a 5 month plus journey running the Bicentenial Way in Australia. We recommend three blogs. Our main interview is with female speedster, Ellie Greenwood. We bring you Ultralegends, A Meltzer Moment, we tell you who won a pair of Hoka One One and we have 15 min of Fame with Jo Zakrzewski. Finally we tell you what races are coming up and of course we fill you in on what we are up too. Episode 5 – Marathon des Sables Special – This weeks show includes an interview with Race Director and Race Creator Patrick Bauer. We also interview top Brit, Jen Salter who placed 3rd female overall in 2010. In addition to this we have news from around the world, a Meltzer Moment and up and coming races. This is part one of a two part show. This is part two of our MDS special and includes five seamless interviews with Patrick Bauer, Terri Handy, Mark Gillett, Jen Salter and Didier LeMalvoyant Des Sables. Episode 3 – It’s a whopping show at 2:19 hrs, so, start planning your long runs this weekend…. On this weeks show we catch up with Tom Dennis running around the world, we speak to Shane Ohly on his Ramsey Round attempt and we interview Anna Frost. Phil Essam gives us an Ultralegends, Speedgoat Karl tells us his Good, Bad and Ugly and our 15 mins of fame is UK ultra runner Mark Cockbain. Episode 2 – In 1974, Gordy Ainsleigh was the first to run the course of the Western States Endurance Run. At the time, the trail was used only by horses participating in the 24-hour Western States Trail Ride. When his horse went lame prior to the race, Ainsleigh decided he would run the torturous 100 miles (160 km) of mountain trail. This was the beginning of the Western States Endurance Run. Episode 1 – Our first show… contains an interview with multi-stage expert Ryan Sandes who is 2012 will be spreading his wings into the 100 mile distance and running at Western States. 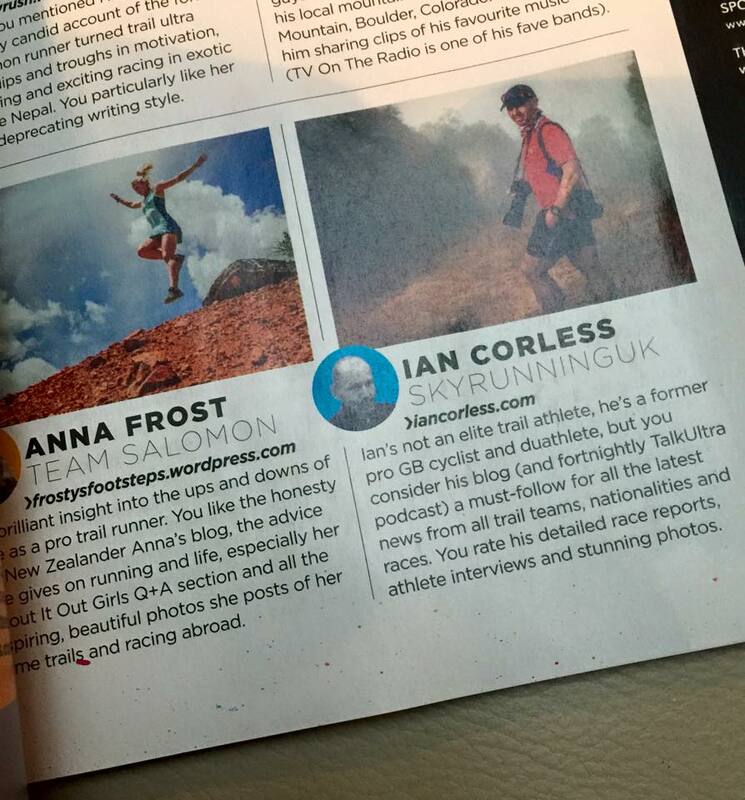 Our show includes Ian Sharman, 15 mins of fame and a Meltzer Moment with Speedgoat Karl. “This is just a very quick and short message to say thank you to you and your show guests for the wonderful and very inspirational podcast.